Our manager receives in a telephone mode request about transportation and inform about cost of the client. 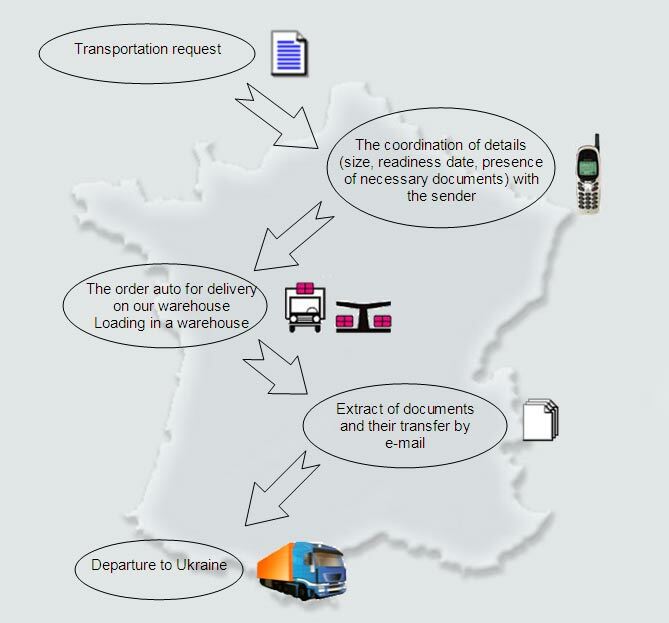 After reception of the written demand, ours french partner calls up with sender of cargo, specifying and checking transportation details, such as exact weight, size, quantity and readiness of cargo. After that vehicle moves on loading and transports the goods on one of our warehouses. There necessary documents are prepared, scanned and go by e-mail for check of the address of cargo for preparation of the rest of the documents. Further cargo is transported to destination. Terms of delivery from 5 to 14 days.